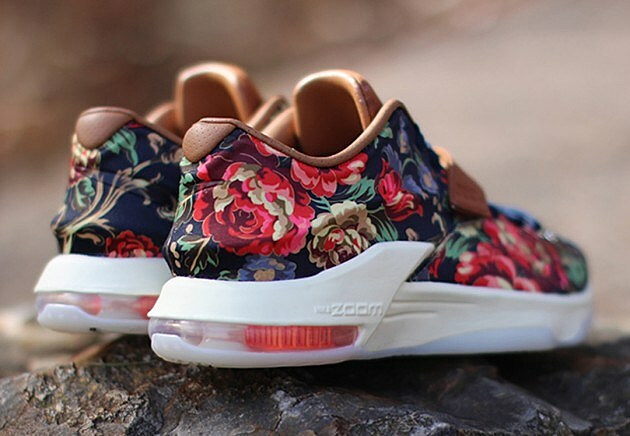 • A lot has hinted to what the Spring/Summer pattern will be for 2015 & “Floral” seems to be the deisgners choice. 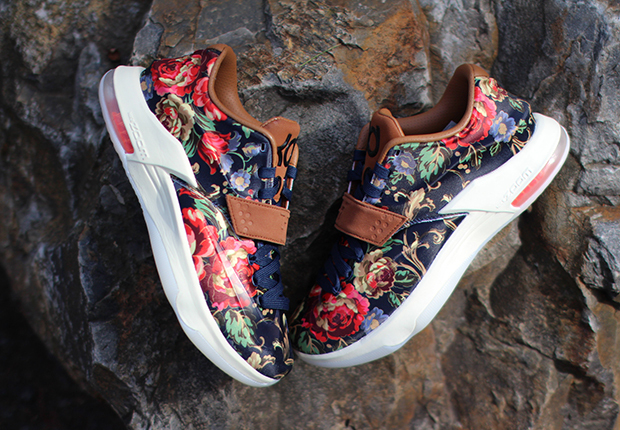 Portland, Oregon-based Nike has released a new design with the Nike KD7 EXT QS “Floral.” The futuristic silhouette tends to take well to colorful patterns, and this choice in pattern is a perfect fit. Incorporating gold demask and plant motifs over a Midnight Navy base, the sneaker’s multicolored upper settles upon an all white midsole and a translucent outsole. Additionally, the tongue, mid-foot strap and interior have been executed in Hazelnut Brown leather. 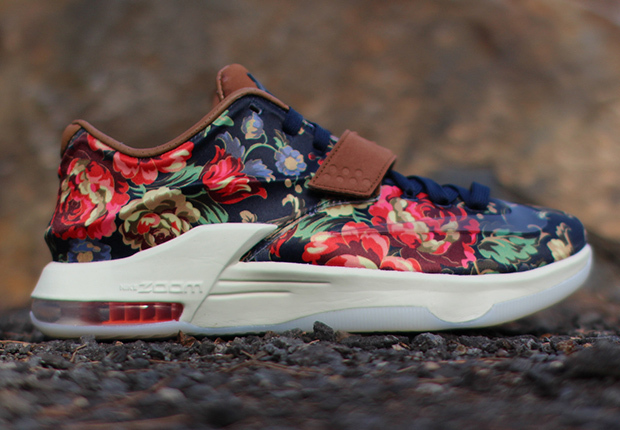 The Nike KD7 EXT QS “Floral” will be available at select Nike Sportwear retailers as well as online beginning February 12 for $200 USD. Ah I love the floral sneaker idea! These are super cute! Honestly These Are Pretty cool Sneakers even with the color pattern. Great Spring Choice!